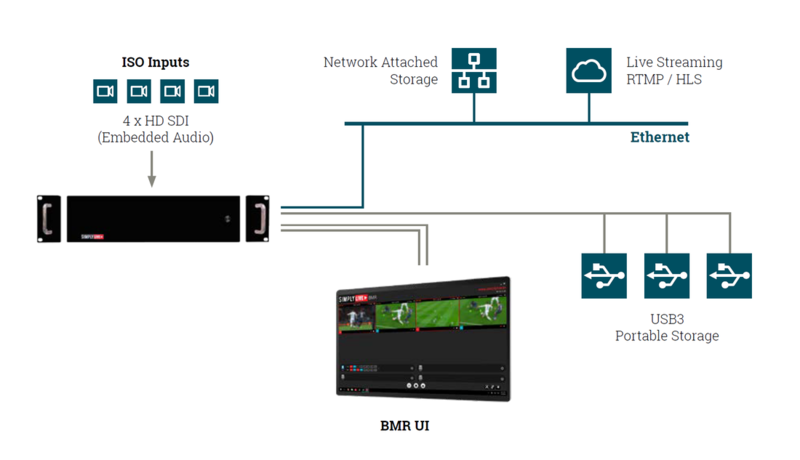 BMR Mini makes the perfect model for productions to capture and export all ISO recordings. channels embedded audio. The BMR4 - Mini is the ideal tool for recording content in an OB or live studio environment. The various I/O options give the users the flexibility they need in all production environments thinkable.